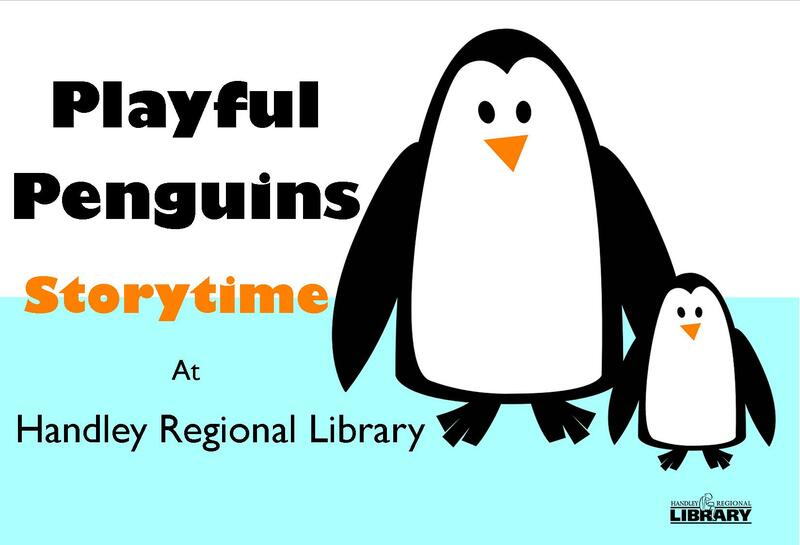 This week, we’re learning more about everyone’s favorite flightless birds with a week of stories leading up to Penguin Appreciation Day this Saturday, Jan. 20 at 11AM at Bowman Library. Here are a few of the stories, poems, and songs that we’ll be sharing this week, so you can keep singing, playing, and reading with your little ones at home. Many of our collections of books on popular subjects are also available right here on the blog on the Booklists page. Over the ice cap far away. Four Little Penguins came back to sleep. All the little little penguins came back to sleep! I’m a little penguin short and stout. I flap my wings and waddle about. I wear a coat that’s black as night. But my big tummy is soft and white. I’m a little penguin black and white. I like to slide across the ice. When I reach the water, I dive right in. I hunt for fish, and swim, swim, swim. I’m a Little Penguin in the sea. I can swim as fast as can be! When I catch a fish, just look at me. I’m as proud as I can be. A penguin. . . a penguin! Have you ever seen a penguin swim this way and that way? Swim this way and that way . . . and this way and that way? Have you ever seen a penguin slide this way and that way? Slide this way and that way . . . and this way and that way? Have you ever seen a penguin waddle this way and that way? Waddle this way and that way . . . and this way and that way? 5 little penguins standing in a row. 5 little penguins standing in the snow. One went for a swim and then there were four. One went swimming and then there were three. One jumped in the water and then there were two. One swam off and then there was one. He dived in the water and then there were none. 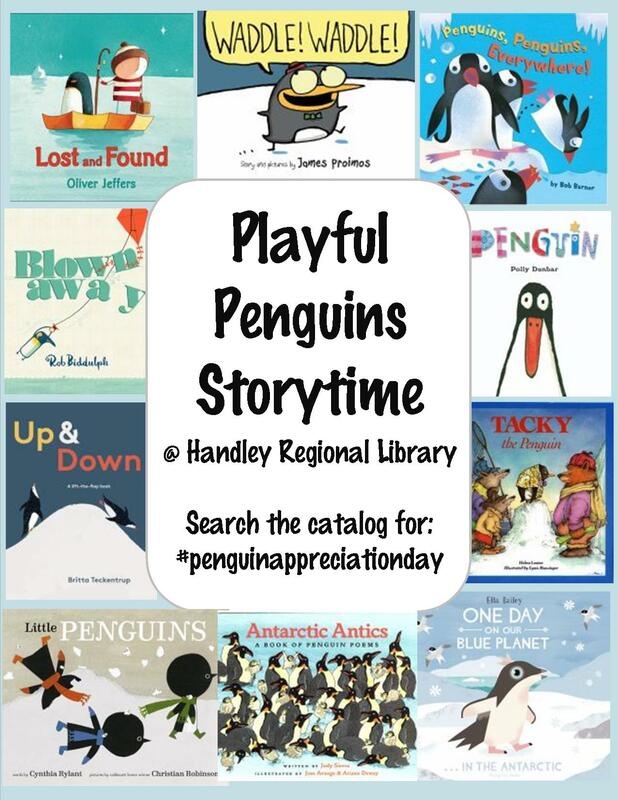 We hope to see you at storytime! Next Teen Art: Are You Up For A Challenge?